wanna see some real magic happen? 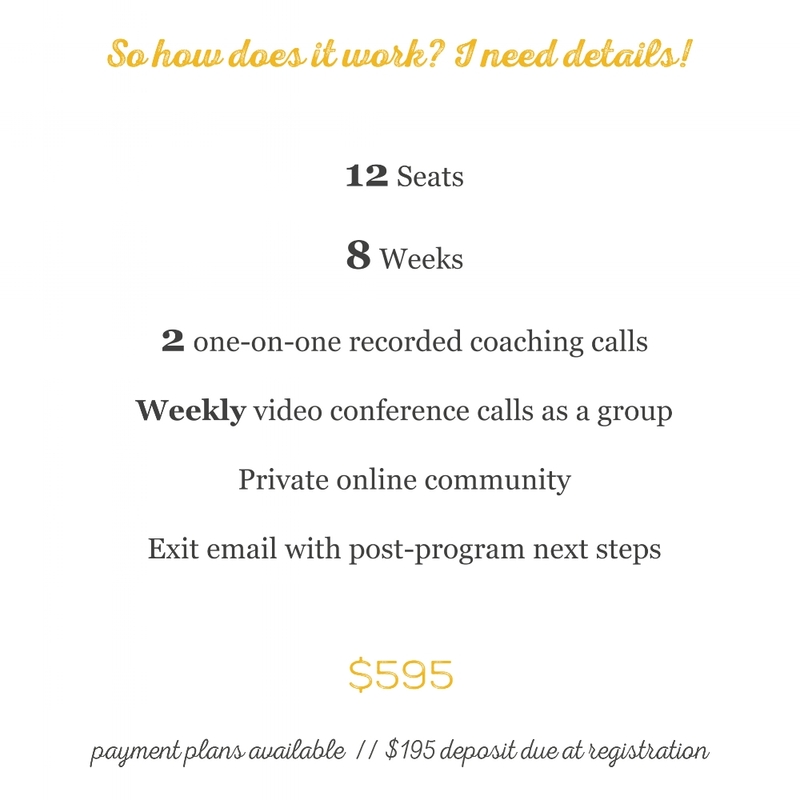 Get a group of motivated, inspired, ready-for-action people together. Give them a guide with the experience to empower them to cut right through their obstacles and blocks. Provide them the space and structure to form a tight knit community of support and accountability. And I assure you, the sparks will fly!